Congrats to Barb, who won Super Sock Man (Knitting #1) by Amy Lane! Super Sock Man is being released by Dreamspinner Press today. Many thanks to K.D. Sarge for donating an ebook copy of her forthcoming m/m scifi romance, Queen’s Man, for a lucky commenter to win! Queen’s Man will be released by Turtleduck Press on April 1. Though he works security for a major “tribe,” Joss Ravid will tell anyone that he doesn’t care if the ruling families of Kari’s Star kill each other off. The Galactic-imposed Interdiction may keep Kari natives stuck on their war-torn world, but Joss has connections. He can leave whenever he wants. He’ll also tell anyone he doesn’t care about girls, but that doesn’t stop him from rescuing 12-year-old Paige, newly arrived and newly orphaned by tribe violence. Tops on the “don’t care” list, though, is Zeke Cayden, heir to powerful Tribe Cayden. Never mind that he and Joss were lovers; that’s long gone. Saving Zeke’s life when the shooting starts is strictly business. Some tribes don’t want peace, and killing a Galactic citizen like Paige – or controlling Cayden through the heir – would serve them well. So Joss is on the run, risking his life, his pretty face, and his precious liberty to keep Paige and Zeke alive and the peace plan that can lift the Interdiction on track. Why? Because how often does a guy get to piss off half a planet? When Paige is taken, though, the lives of Paige and Zeke, the leadership of Cayden and the future of Kari’s Star all ride on the wrinkled shoulders of Joss’ work suit and he has to decide – can he save himself at the cost of everyone he doesn’t care about? To enter, leave a comment stating that you are entering the contest. Contest closes 7 pm CDT, Friday, March 30. Posted by Chris on Wednesday, March 21st, 2012, at 2:00 am, and filed under Contests, Reading. I could use a few sunbeams ATM…it’s very wet down here! Chris- We had joy, we had fun, we had kitties in the sun. Yes please! Count me in too! A recent post from margene..Oh, My! I Almost Forgot! I enjoyed the author’s previous books (and I won His Faithful Squire here – thanks again!) – please count me in! 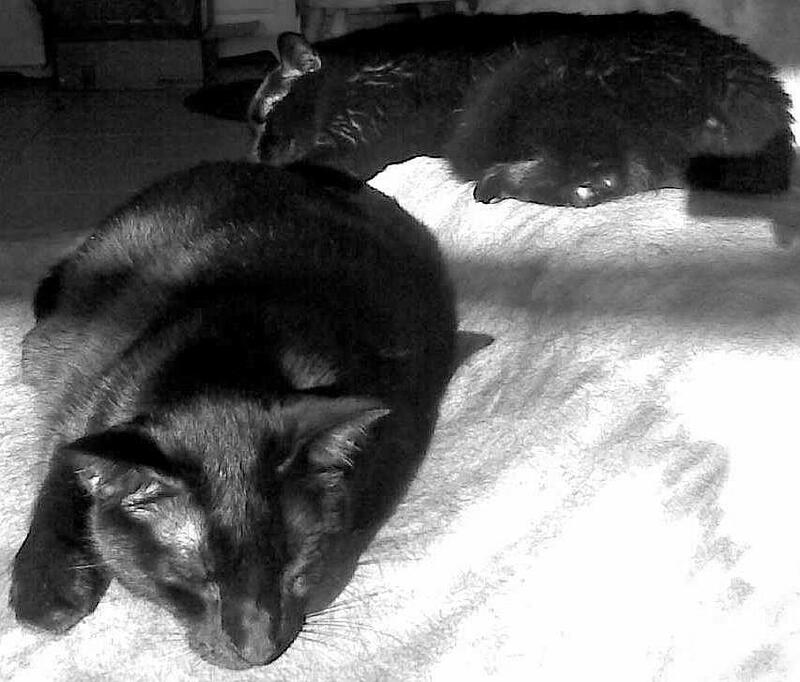 Good to see kitties enjoying the sun beams! Good thing there is room for both of them. It’s raining here, the cats are on heat vents, please count me in. Thank you to Stumbling Over Chaos & K.D. 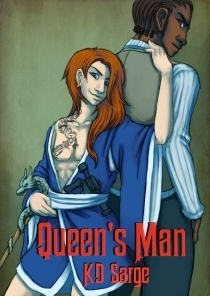 Sarge for donating an ebook copy of her upcoming M/M Sci-Fi Romance release, “Queen’s Man”, on April 1st by Turtleduck Press. Nice blurb. It’s fun to read about men in denial. Please, count me in. This one sounds good, I would like a copy please. Please enter me in the contest to win Queen’s Man, thank you! This sounds good. Please sign me up. I would love a copy. count me in! I love that photo of the two kitties! This looks fun, count me in please! Yes, exactly. *nods* Enter me please! Thank you.